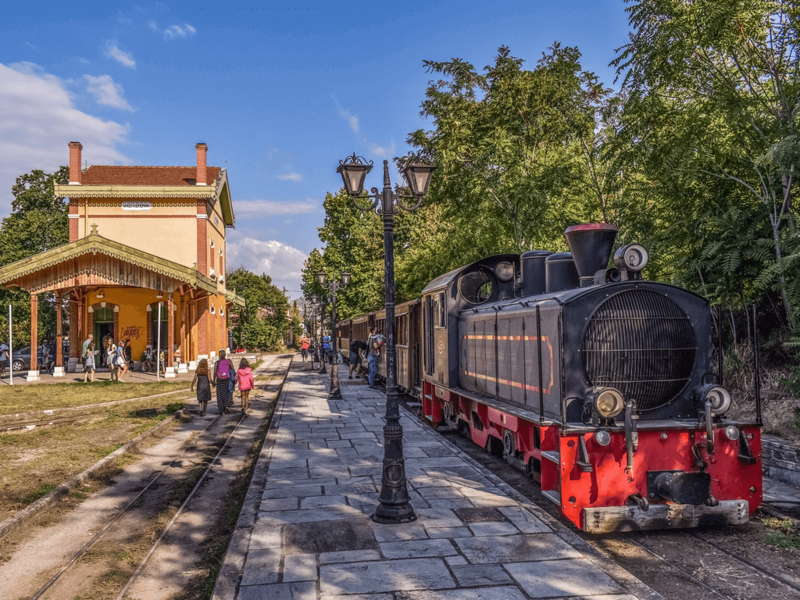 Let’s put it simply: you’re going to fall in love with Magnesia, the prefecture that is home to the peninsula of Pelion, stone-built villages, pristine beaches, nearby islands, ancient sites and year-round wonders. This is the land of the daring Argonauts and mythological Centaurs, living on the outskirts of the ancient Greek world with its rich forests, majestic mountains and open seas. To our luck, all these natural wonders and still there – and if you’re lucky you might even conjure up a centaur or two in the forests. Pine trees and olive trees still roll from the mountains down to cleanest bits of the Aegean sea, sometimes coming out of the white sands of the shoreline. 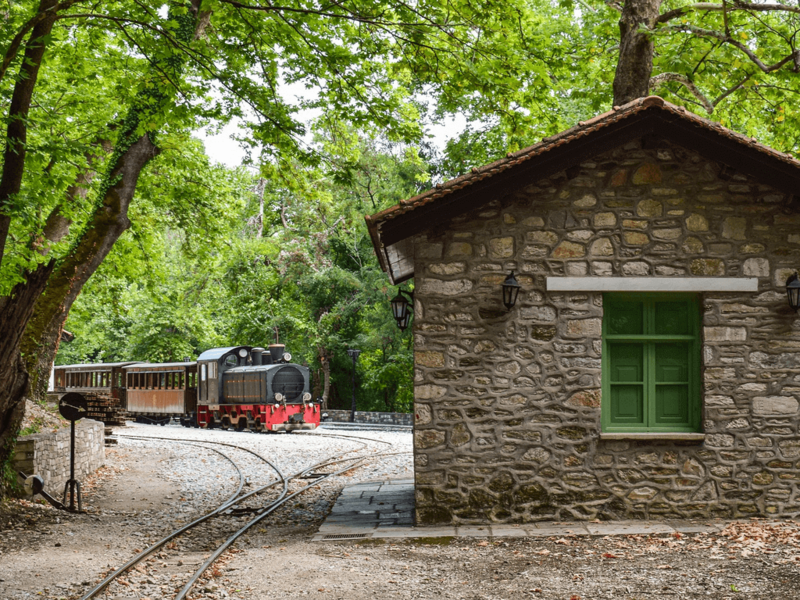 Remote villages with hearty tavernas and fruit preserves will astound you, and there’s the not-to-be-missed Pelion steam train which will deliver you to the loveliest remote village of Milies. 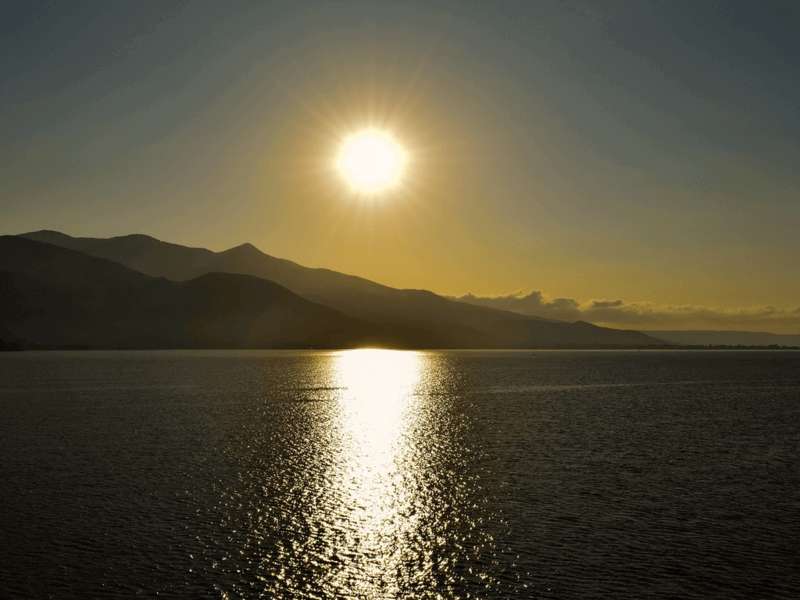 Magnesia hasn’t been discovered by mass tourism, and hopefully will never be. It does attract a handful of low-key Europeans, but mostly Greek tourists who guard it as their well kept secret. 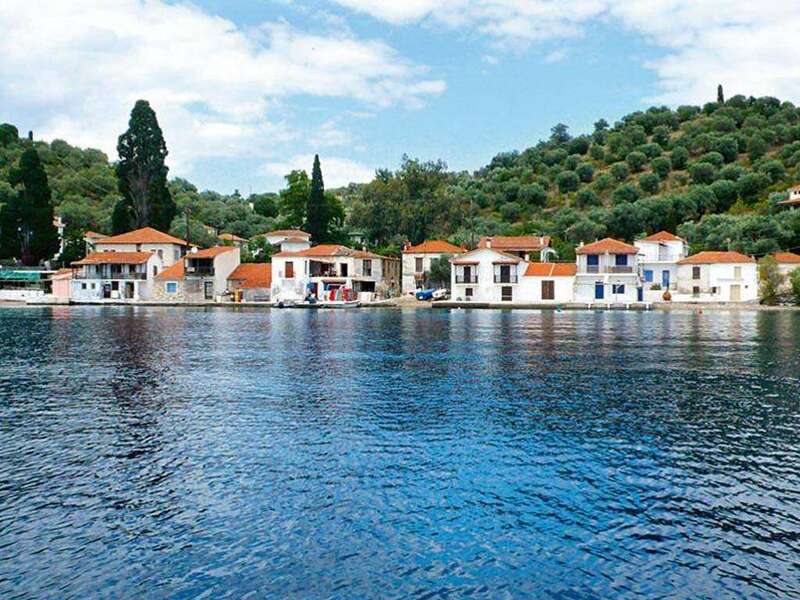 Perhaps the best known part of Magnesia is the island of Skiathos which is almost too popular in summer, but there are other islands to choose from in the group known as the Sporades, namely Skopelos and Alonnisos. 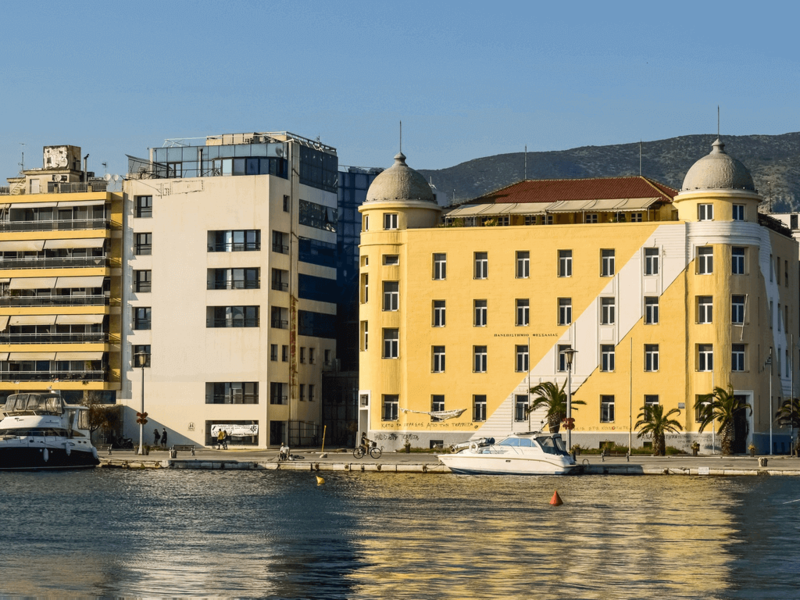 Even the capital of Magnesia – the city of Volos – is pleasant in comparison to other Greek cities, with a laid-back feel, a great archaeological museum and a decent stopover between one end of Magnesia to the other. 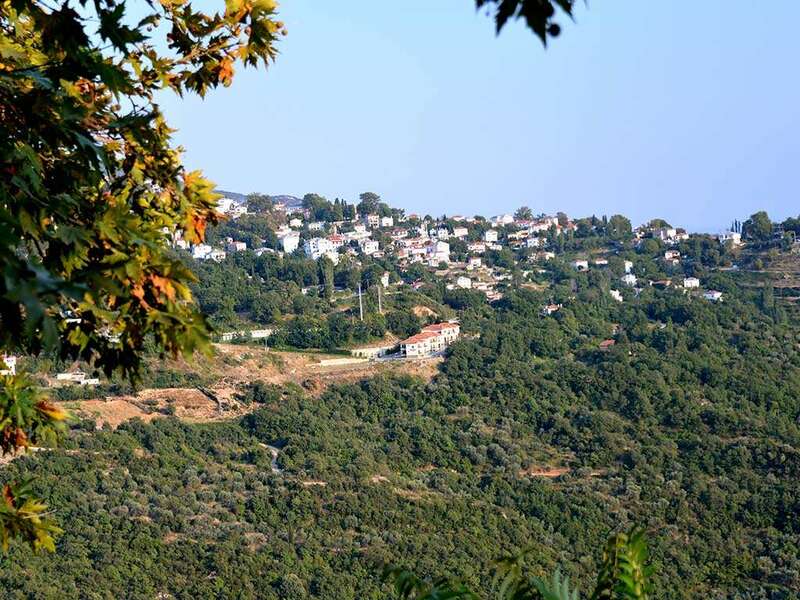 The mountain range of Pelion or Pelio is also Magnesia’s best known area, at least for the Greeks. Its eco-friendly topography, medicinal herbs and traditional architecture make it a true paradise, popular both during snowy winter months and cool summer months. 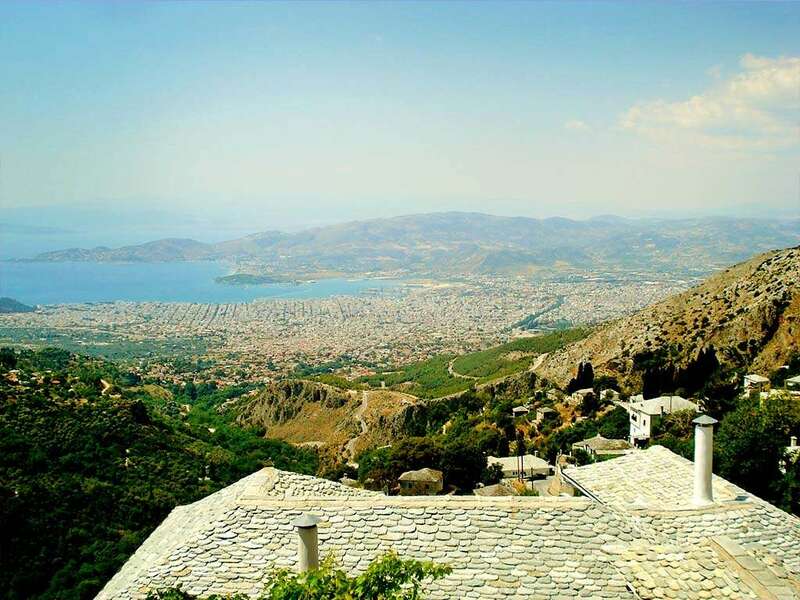 The temperatures by the coast in summer can go up to 40 degrees, but in the higher villages such as Ta Hania (roughly ‘The Khans’ or ‘The Inns’) you can eat at a taverna with a view to the sea below, and still think of wearing a light jacket at 22 degrees. 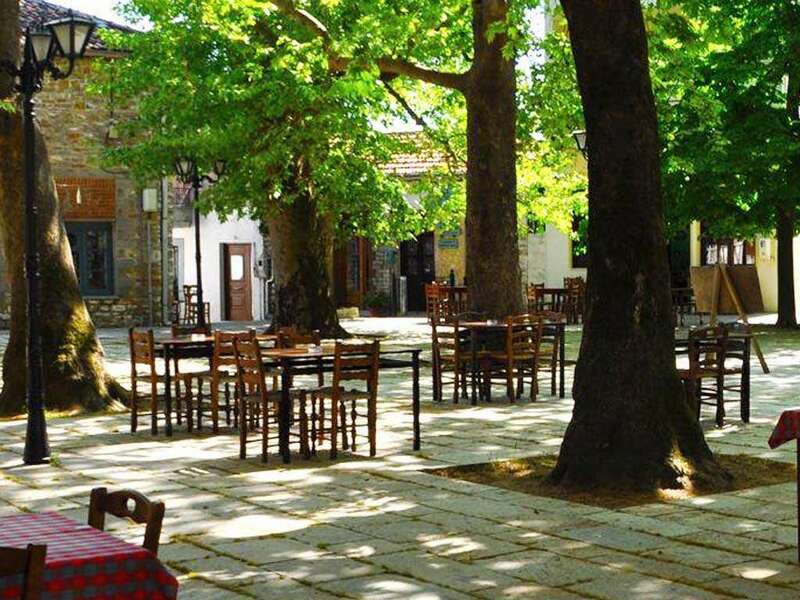 At the doorstep of the Pelion mountain range there are better known villages such as Portaria and Makrinitsa with their utterly charming hotels and restaurants, contrasting with other relatively unexplored spots of Magnesia. 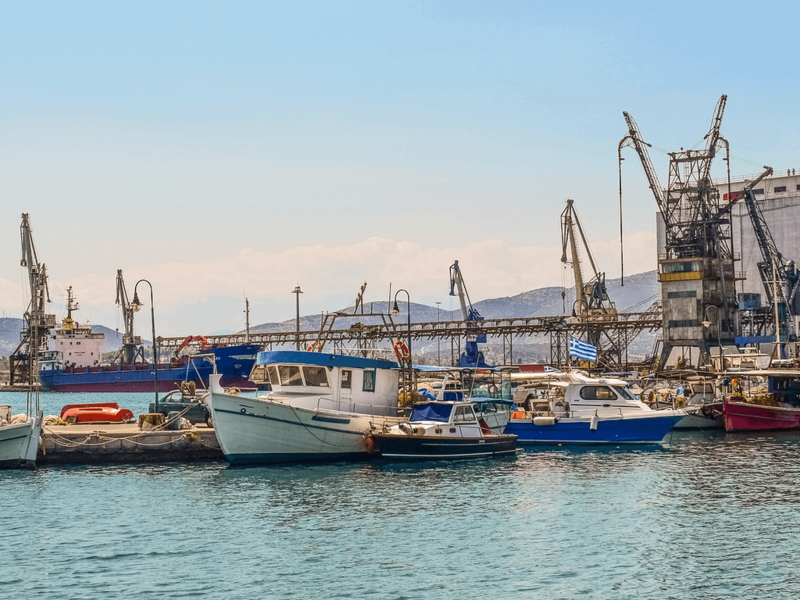 Before reaching Pelion at the entrance of Magnesia – usually bypassed by travellers when coming by car from Athens or the South – is Nea Anchialos, a coastal market town with an airport serving central Greece. It is also a site of ancient settlements such as Pyrassos. Visit the ancient theatre there and enquire about its wine festival among other local feasts. Nearby lies the area of Pteleos with an old Venetian port of Loutro and lovely villages like Agios Dimitrios, Pgadi and Achilleio. While Pteleos may have its fair share of pubs and restaurants, the Achilleio museum and other attractions reflect its amazing history from Homeric times, when local hero Protesilaos went to battle the Trojans. 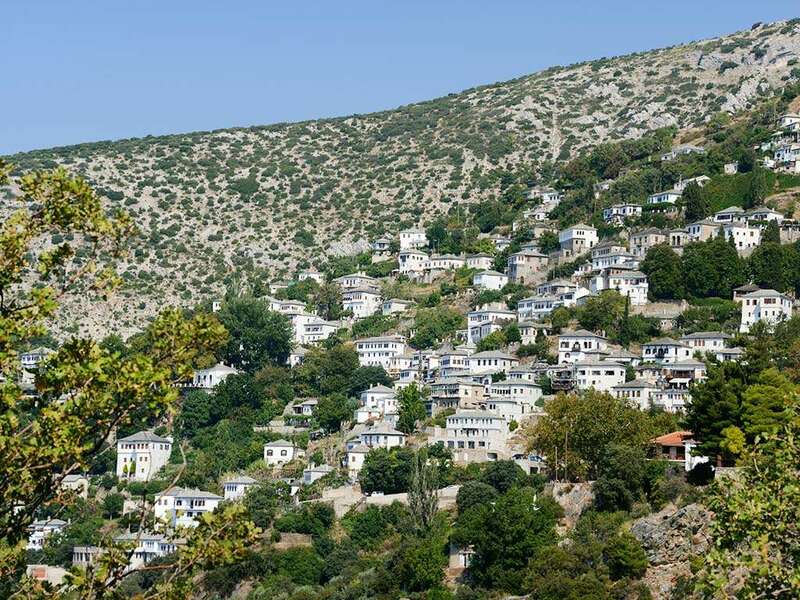 Not far off yet at a height of 900 meters on the slopes of Mount Othrys lies Anavra, a truly traditional village that saw its heydays in the late 18th century. Next on the map is the town of Sourpi, with Nies, Amaliapoli and the little island of Kikinthos off the coast. 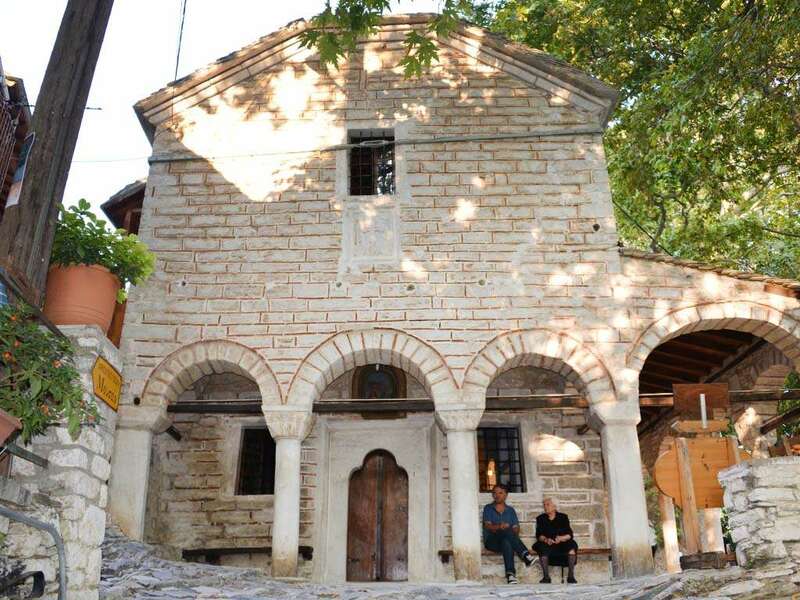 The island has a famous church and icon, thought to be made by Saint Luke himself! Archaeological remains can also be found in modern-day Almyros, where the remains of ancient Alos still lie. 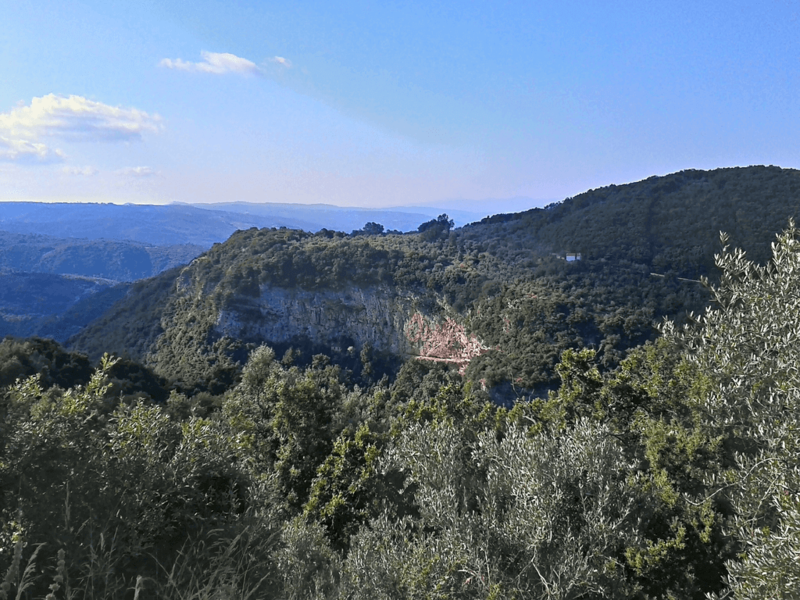 Visit the town’s Archaeological museum for the full picture then wonder through the stunning Kouri forest. Then there’s the region of Karla and the regeneration of the Karla Lake which was purposefully drained in the late 50s. 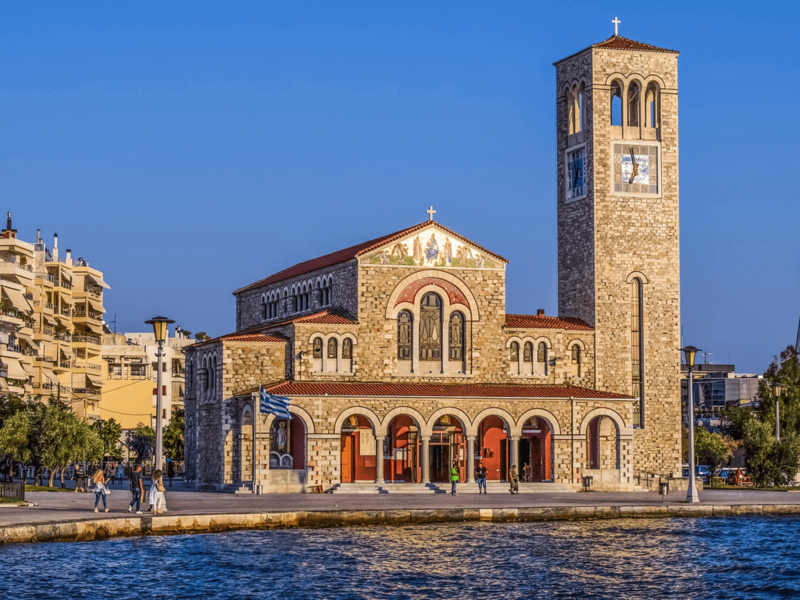 Now there are wetlands with rare flora and fauna, a plethora of almond trees and significant religious sites such as the 11th century church of Agios Nikolaos and the Flamouri monastery. 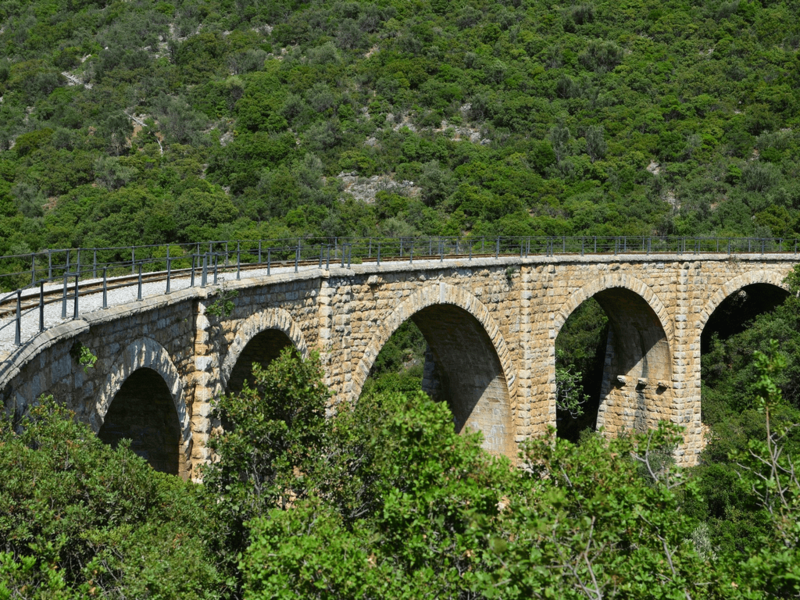 Arched stone bridges in Ano and Kato Kerasia, as well as parts of the walls of ancient Voivis are also part of the area’s allure. Also in the region is the quiet mountain community of Veneto as well as Keramidi, a traditional fishing village and harbour area called Kamari, with stunning views of the sea. 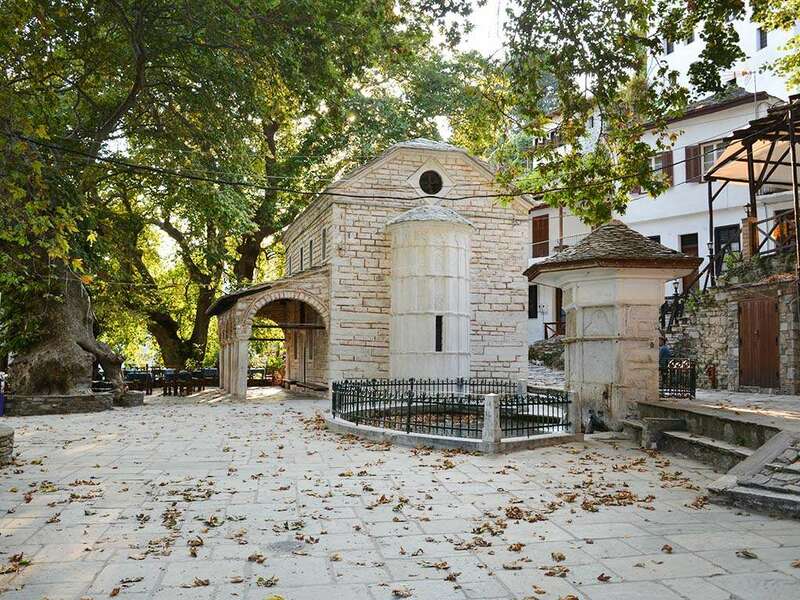 All these areas are worth investigating before moving on to Pelion and the Sporades, with their abundant nature and attractions. 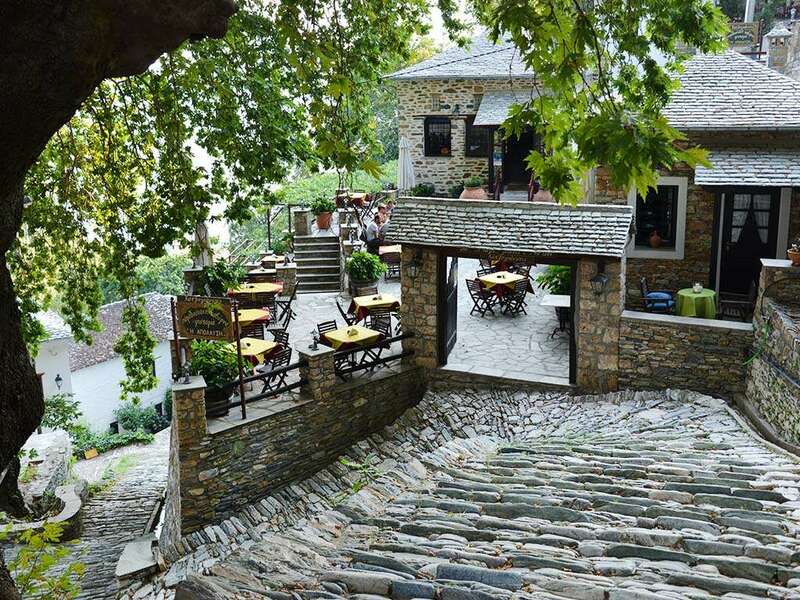 Pelion (or simply Pelio) has 24 villages at different elevations. At the higher levels there are beech forests and Macedonian fir trees, with mountain slopes full of chestnut and apple trees. Over 1,500 plants dot the landscape along with birds of prey, foxes, hedgehogs and boars. But rare animals exist too, and are protected under the Natura 2000 network. There are dozens of amazing cobblestone footpaths all over the region that are great for hiking. On Pelio’s southwest tip, built on the steep slope of Mount Tissaio and at the entry to the Pegasitic Gulf, the fishing village of Trikeri offers exceptional architecture and quiet paved streets. 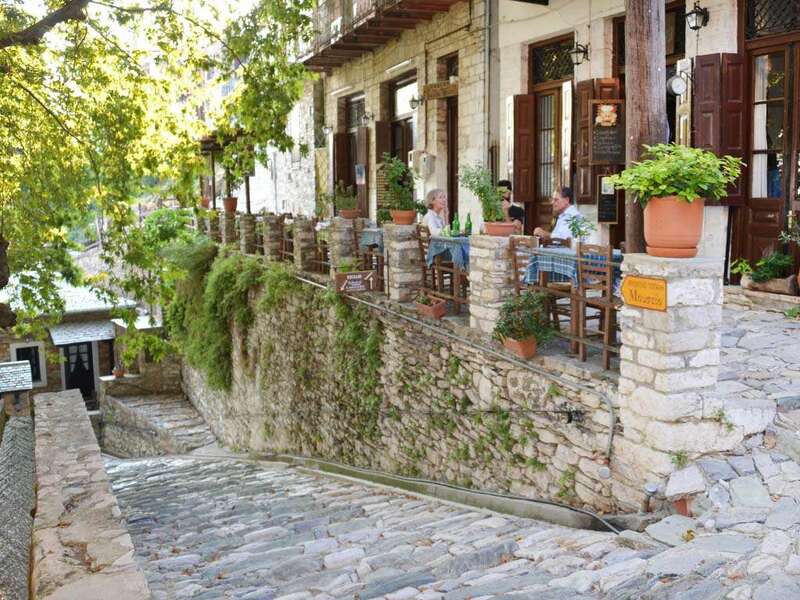 You can walk 1.5km to the next settlement of Agia Kyriaki on a stunningly scenic cobblestone footpath. Across Trikeri lies the quiet island of Palio Trikeri with the Monastery of Evangelistria. Next on any visitor’s itinerary should be the Sporades, the three islands beside the Pelian peninsula. 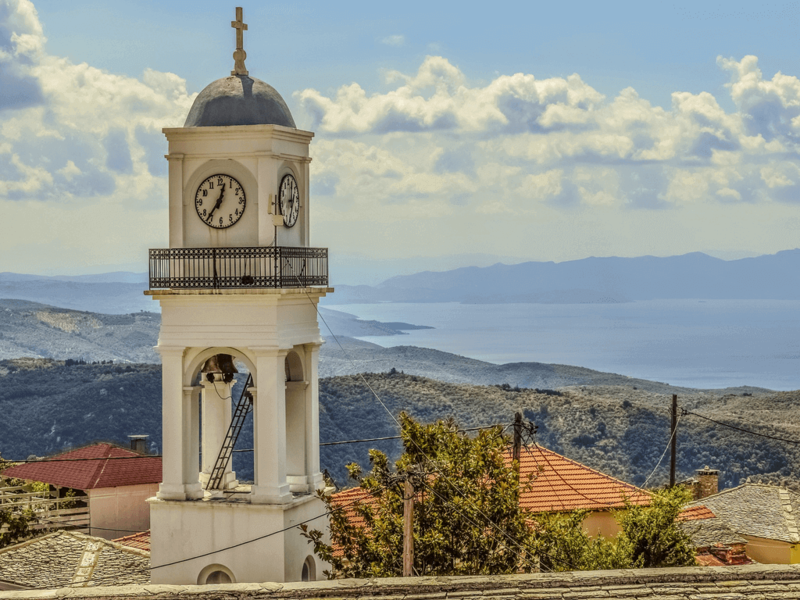 Cosmopolitan Skiathos might be a party town in summer, but it still has many quiet spots, the castle known as Bourtzi, the Kehrias Monastery and many worthwhile churches. The record for churches in the area goes to Skopelos, with no less than 360, lying in unspoilt villages and verdant landscapes. 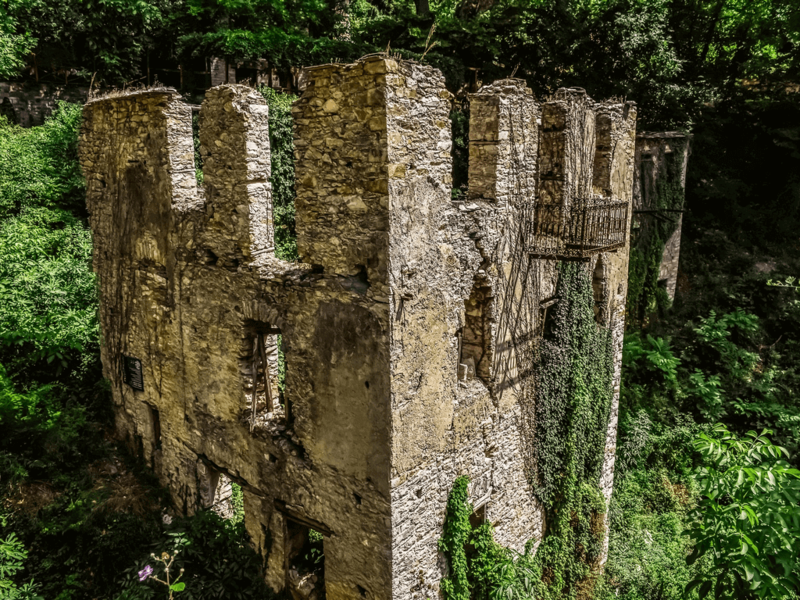 To visit also on the island are the Venetian fortifications the International Photography Centre and the Folk Museum. The environmental prize goes to the third and lesser known island of Alonissos with its Marine Park, abundant wildlife abd ‘deserted islands’ which are a safe haven to numerous rare birds, mammals and the Mediterranean monk seal, most of which are under threat of extinction. 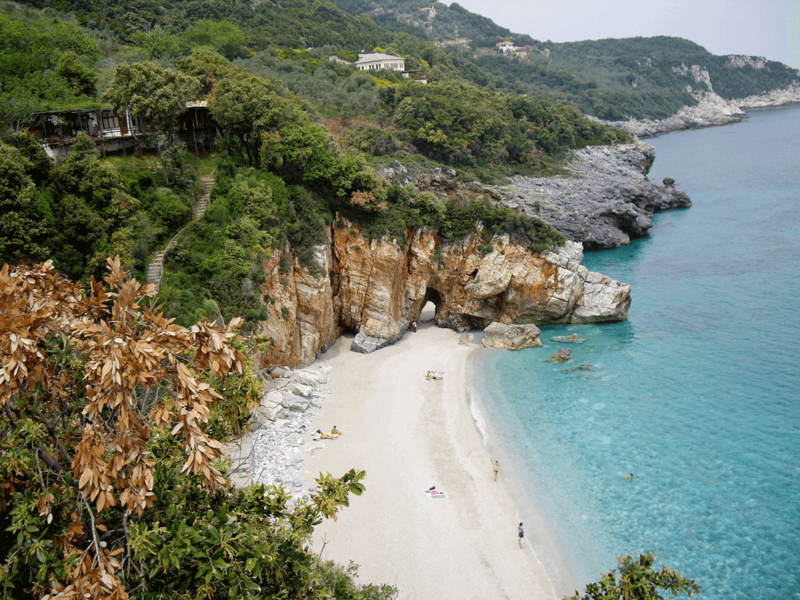 The beach of Koropi (Boufa) is one of the largest beach in Pelion, and is situated between the villages of Kala Nera and Afissos. This sandy beach is one of the most popular in Pelion, and one that every visitor to Pelion should try to visit. The wetland of Sourpi, some 55 km southwest of Volos is a protected area designated under the Ramsar treaty. Willows, plane trees and pines spread around the salty marshes of the area, where nightingales, herons and other kinds of birds spend their winter. 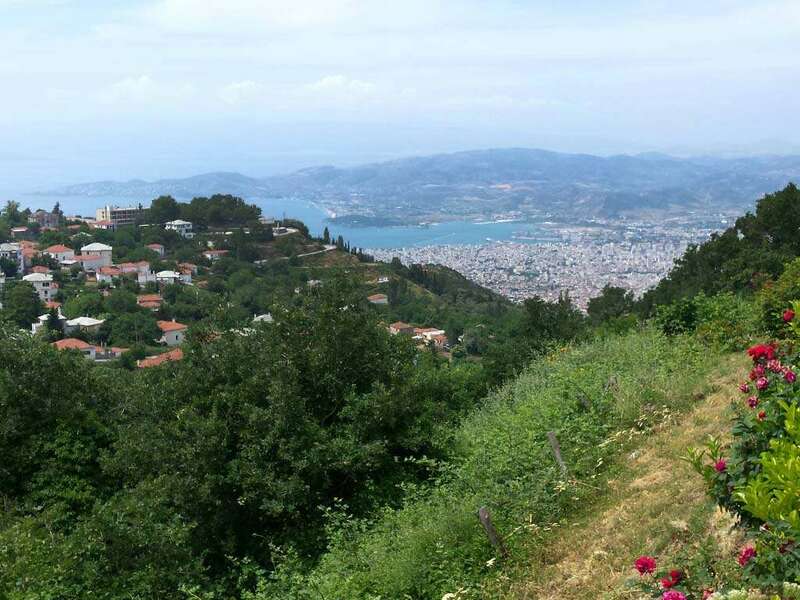 There are interesting and fascinating bird species on Mount Pelion, including the Honey Buzzard (Pernis Apivorus), Short-toed Eagle (Circaetus Gallicus), Booted Eagle (Hieraaetus Pennatus), and the Middle Spotted Woodpecker (Dendrocopos Medius). In addition, you could spot an Egyptian Vulture (Neophron Pencnopterus), Long-legged buzzard (Buteo Rufinus), Golden Eagle (Aquila Chrysaetos), Eleonora's Falcon (Falco Elenorae), Woodpecker (Dendrocopos Leucotos) and Semi-collared flycatcher (Ficedula Sermitorquata), among others. Near Almyros, the coastal wetland over 1100 hectares has with reeds, bushes, willows, and a forest of plane trees by the river and a mixed oak forest. This combined marshy and marine environment is supplied with fresh water from a well and a stream while the seawater that enters the marsh renders the water salty. Rare species of migratory and non-migratory birds spend their winter, including swans, herons, etc. Some reproductive species include the Bittern, Little Bittern and Rufous Bush Robin. 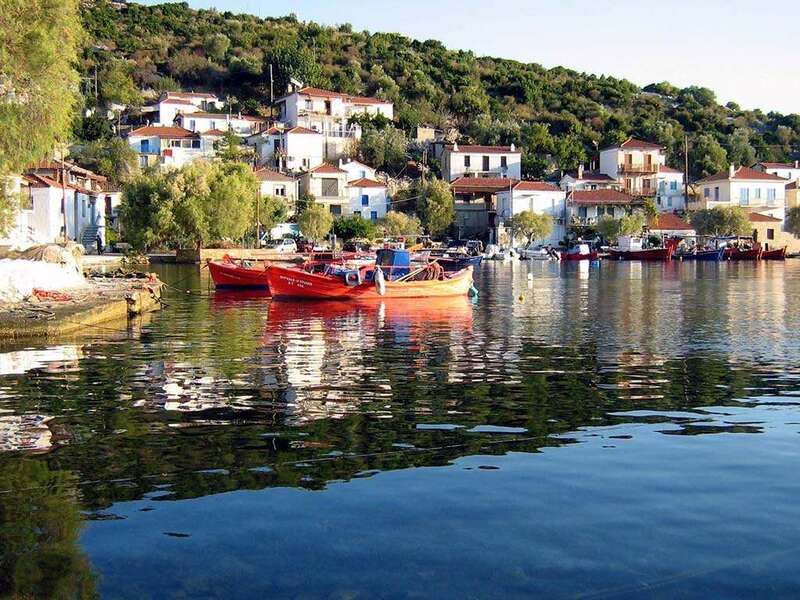 Agii Saranta is a small seaside village about 50 km from Volos. It is possible to rent canoes here, as well as pedal boats and small boats. The coastline and islets of the Pagasetic Gulf and the eastern coasts of Pelion, as well as those of North Evia in the Aegean, offer excellent diving opportunities. There are a handful of diving schools in Pelion that will take you on many wonderful diving excursions. Very clear and calm waters, seals, dolphins and surprising underwater terrain will impress any diver. There are shipwrecks, reefs, vertical walls, enchanting sealife and much more surprises. Pelion is one of the most beautiful parts of Greece, even underwater! This is meat country, as Pelian dinner tables love to serve some form of goat or lamb. Spetsofai is the well-known local meat dish, made by simmering sweet and hot peppers in a red sauce, with spices and local sausage. Of course salads, potatoes and bean dishes can also be found. Voustina, a soft grated full-fat cheese from goat's milk is very interesting to try. Local produce includes large chestnuts, walnuts, Konservolia olives, mushrooms, local apples and pears. Herbs and shoots are abundant and also find their way into the cuisine. If you're in Zagora, try the apples that are based on the Golden Delicious variety. The town is famous for its apples and exports most to Europe. The Women’s Agro-tourist cooperative of Zagora (founded in 1993) offers traditional food, sweets, drinks, dried plants and more. On the southwest tip of the Pelio peninsula, Trikeri and its small island across the coast are known for their Kromdokloura (onion feta pies) and Spetsofai (country sausage, tomato and green pepper medley). 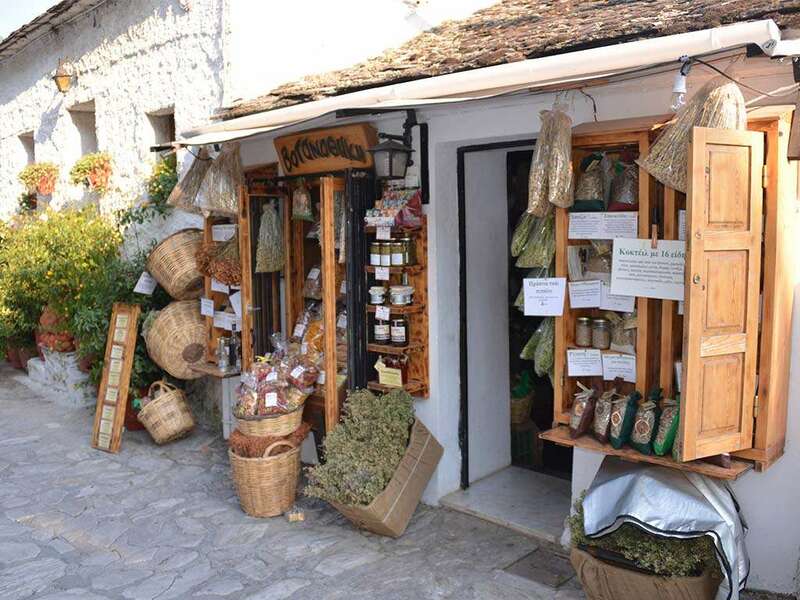 Also noteworthy is the women's cooperative of Trikeri which offers local products such as preserves and more. Beside Trikeri is Agia Kyriaki, where delicious seafood such as spaghetti with lobster is served in the local seaside tavernas. 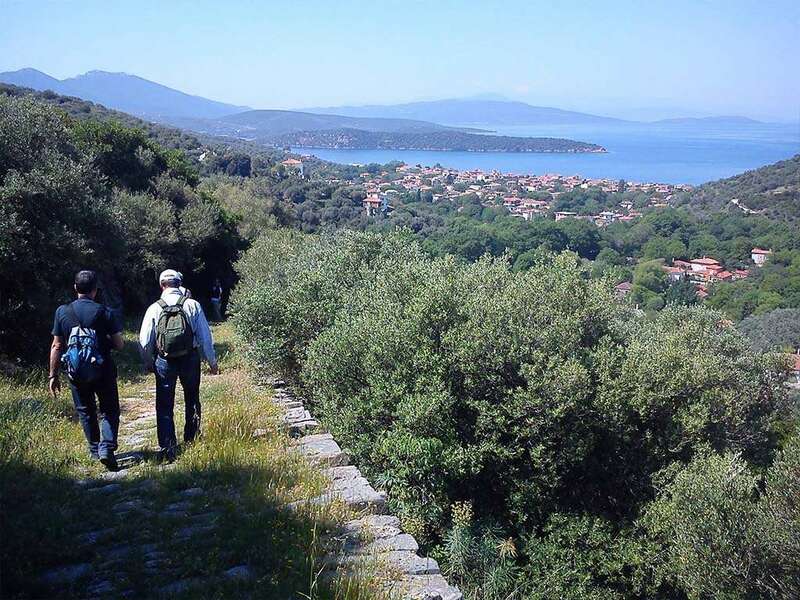 Magnesia is a definite hikers' paradise, with Pelion being the star of the show. Old mountain trails from village to village are in good condition and now represent a formalized network of hiking paths. There are beaches everywhere in Magnesia, especially on both sides of the Pelion peninsula. 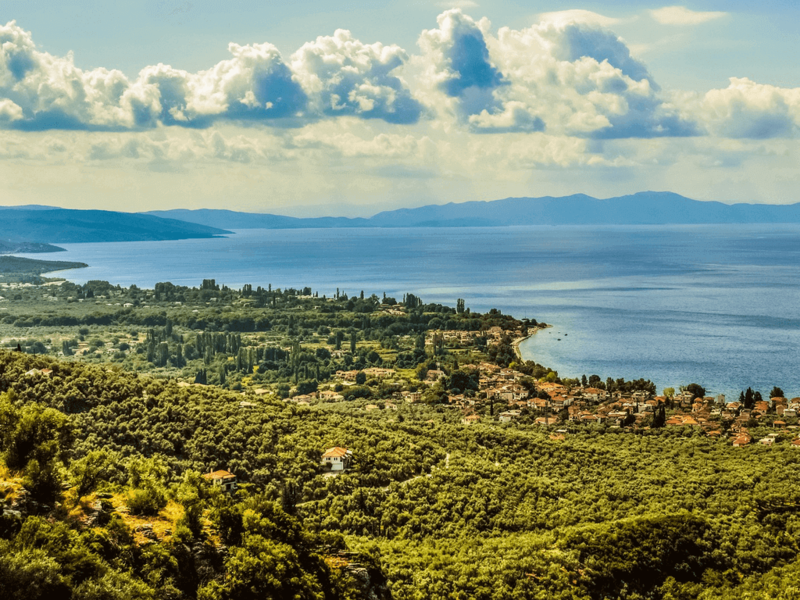 Those on the inner side of Pelion are referred to as being on the Pegasitic Gulf (Gulf of Pegasus). The ones on the outer side facing the west are on the Aegean Sea. There are some nice beaches too before you get to Pelion, like Nea Anchialos, but the best and most remote are in Pelion, particularly on the Aegean side. The beach of the popular resort of Kala Nera is a very beautiful one, and has been awarded the Blue Flag. The water here is stunning and ideal for bathing in the summer. Along there is a fine selection of cafe bars and tavernas, as well as places to stay. Those who like windsurfing will love this beach, which is sandy and crystal blue. Here are some of the cleanest waters in the area. Here’s a great beach that’s not far from Volos. For those who like a more active beach, there are a few cafes and bars for food and drink. The beach of Mylopotamos village is unique in its beauty and repeatedly awarded with a Blue Flag. The blue, crystal clear waters with lovely white sand will astound you. There are also several other charming beaches close by. Before you get to Volos and Pelion, the town of Nea Anchialos (or Aghialos) has a strong tourism infrastructure with a coast of 20 km. This is an attractive beach with black sand. Visit the Citadel of Ancient Pyrassos there too and enjoy the wine festival starting late August. One of the more popular beaches on Pelion’s east coast, this is a quiet beach for most of the year, yet still manages to attract a friendly crowd in the heat of summer. The beach of Papa Nero is a lovely sandy one, where the greenery and mountains stretch down to the sea. It is a very peaceful and enjoyable beach. The large sandy beach of Potistika is perfect for those looking for a relaxing summer holiday. The beach is perfectly located, offering a very peaceful and tranquil setting. 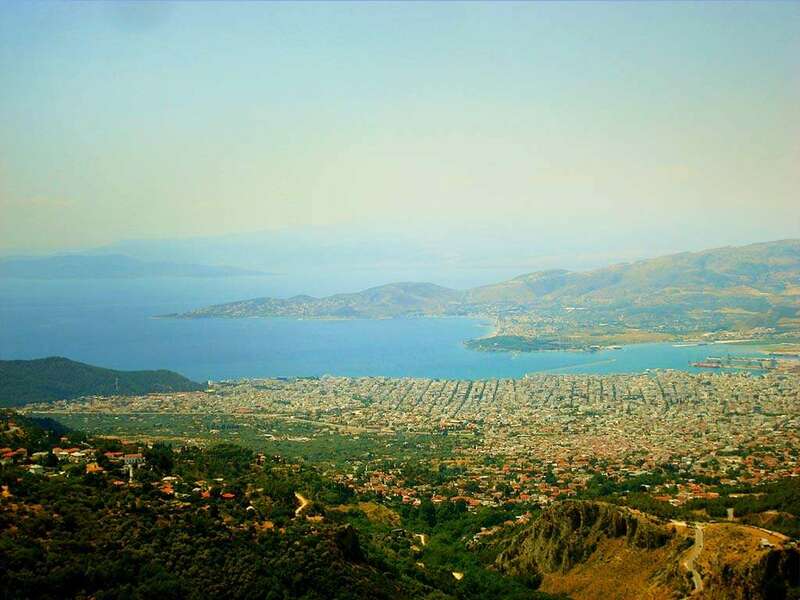 In Agios Lavrentios there is the cave of the Centaurs, located on the top of the mountain.The seaside village of Horefto, 56 km from Volos and 9 km from Zagora, is a decent tourist spot with a sandy beach. From here you can sail with a boat to visit the old Migela (Mitzela) and the old astounding caves at the ancient city of Ipnon.